Contact lenses are so small that it’s easy to think you can flush them down the toilet and they’ll simply dissolve, but that’s far from the truth. 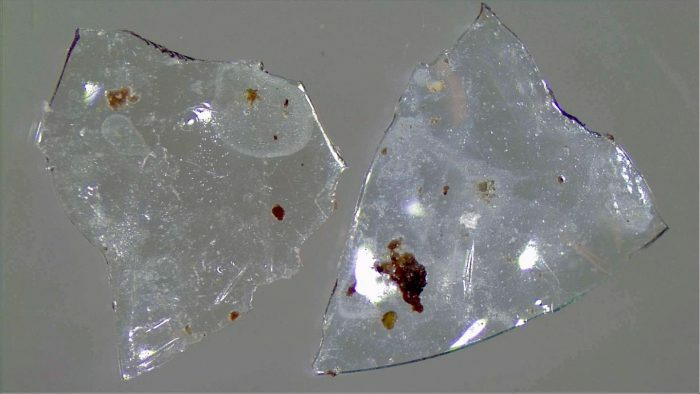 The scientists behind a study presented at the American Chemical Society’s national meeting and exposition warn that flushing contact lenses add to the problem of microplastics littering both land and sea. An enormous number of contact lenses wind up contaminating the environment, the study shows, as 21% of wearers flush them down the toilet or the sink. In the United States, 14 billion contact lenses get trashed each year, including 3 million that get flushed down the toilets or washed down sink drains, says Rolf Halden, the director of the Biodesign Center for Environmental Health Engineering at Arizona State University and one of the authors of the study. As much as 50 tons of contact lenses could end up in American water supplies every year because, like all plastics, they don’t disintegrate. Halden and his colleagues surveyed 409 contact wearers about their method of disposal and found that approximately 28,000 pounds of lenses are turned into treated sewage sludge each year. That sludge gets used as crop fertilizer. That means the lenses sink into the soil, where they can affect small animals and insects and may eventually end up in groundwater sources that flow into the ocean. The findings are concerning. While there has been a great deal of research done on the effects of microplastics in the ocean, few studies have looked at their impact on land. Bausch & Lomb has a recycling program for its Biotrue Line and took in 1.9 million contacts in 2017. There is always the option of wearing glasses, which last longer than contacts, generally cost less over time, and come without the risk of an eye infection.